Working. Thinking. Networking. They all deserve the right space. That’s why our business hubs reflect our contracts – they’re flexible. This is more than a serviced office package. Our premises are more than just serviced office spaces, they’re business hubs, creative environments and networking centres. An on-site cafe, super fast broadband, meeting and conference room facilities, these are just some of the benefits available. Here at Foxglove we offer modern, fully furnished office space to rent on flexible terms. Whether you thrive in a coworking environment or are looking for serviced offices, we are pretty sure that we have something to suit. Not only that – we are located in Leith – one of Edinburgh’s coolest areas. 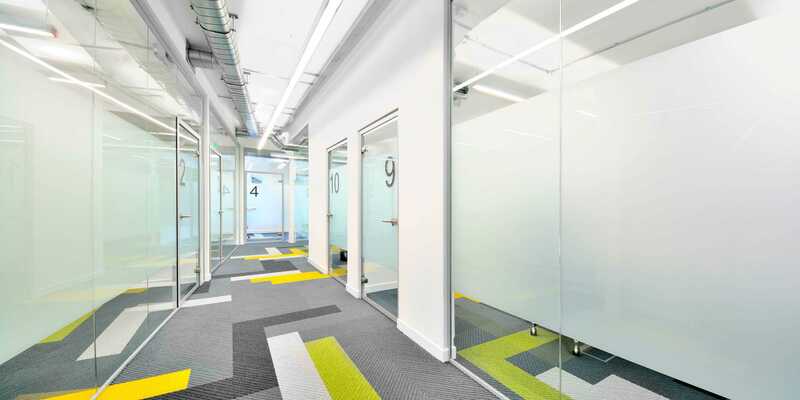 Whether it’s long term space, a short term desk or even a meeting room for an hour to catch up with clients, we think that you’ll like our vibe. Pop in for a coffee, we’d love to show you around.